What a crazy month we have had. We took several trips to the Lake. Sophie said she was allergic to "bad guys." Mia fell off a horse. 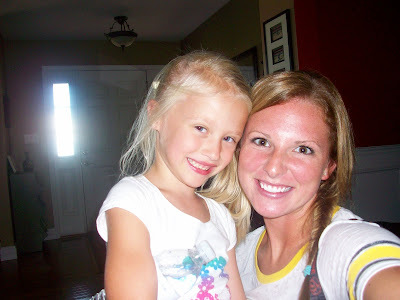 Sophie is about to start PRESCHOOL! Gracie is growing faster than I can stand. I am trying to plan ahead, stay calm and be a totally organized FUN Mom all while getting the laundry, dishes, vacuuming, packing, treadmill running, dusting, braiding , bill paying, bathing, folding, dressing, scheduling, bed making, feeding, boo boo kissing, diaper changing, playing, book reading, dance partying, driving, time out chair putting, teeth brushing, and sleeping done. It's been such a whirl wind but I love the beautiful chaos more than ever before. I remember the very minute, when I was in college, that I could not wait one more second to have my own home and very own family. I was walking into my bedroom at the house my mom bought for me and my sisters. I was a Senior and I thought, wow, I wonder why my clock is already ticking? I knew I wanted to start my family and my life at that very moment. I couldn't wait to do all the things I am doing everyday. Organizing my girls closets and sock drawers, giving them baths, painting their bedrooms, carpool, packing lunches and rocking on the front porch rocking chairs. 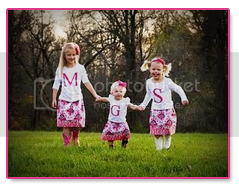 I always dreamed of my three little girls and I envisioned me getting them dressed and ready for school. Out the front door to catch the bus. I am living my dreams now and I thank God everyday. Another person I would like to thank, however, is the Tooth Fairy! 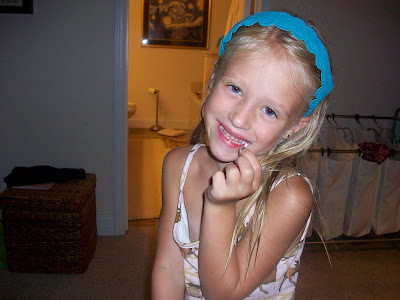 Because Mia finally lost that wiggly loose tooth! Can you say MEMORABLE DAY?! Putting it under her pillow! 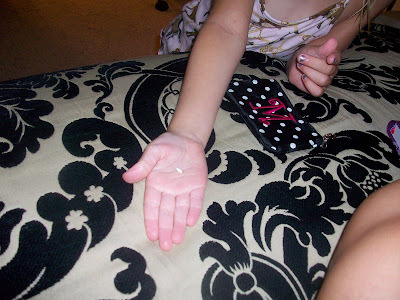 The Tooth Fairy had her very first trip to our house and she brought a whopping $2! 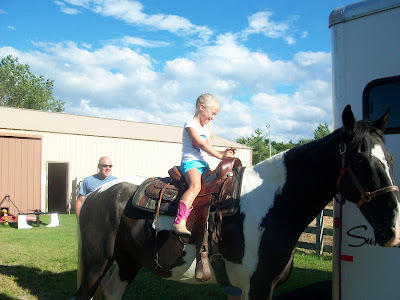 Aunt Maggie came over after school last week to take Mia on a horse ride. 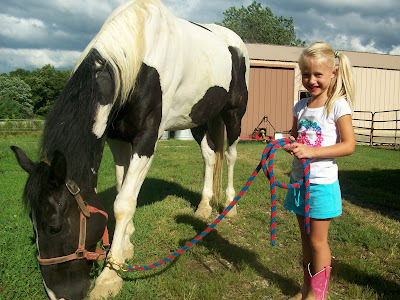 Here she is with the horse she was so excited to ride! Riding away like a pro. And she sure didn't want to get back up on the horse afterwards. I think it really scared her. 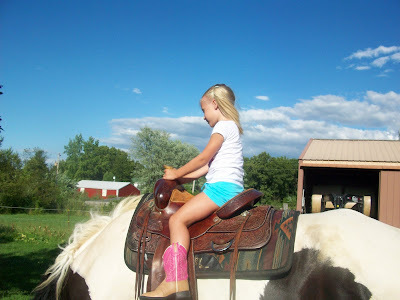 Let's hope she GETS BACK UP ON A HORSE again in the future. I would hate for her LOVE and OBSESSION with being a cowgirl/farm girl to be tarnished forever. 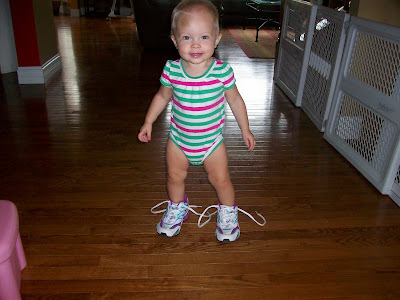 Talk about obsessions.... guess who LOVES shoes? 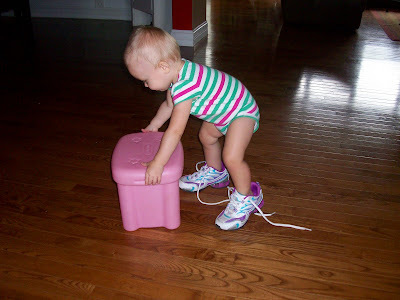 And I mean TOO big for her shoes! 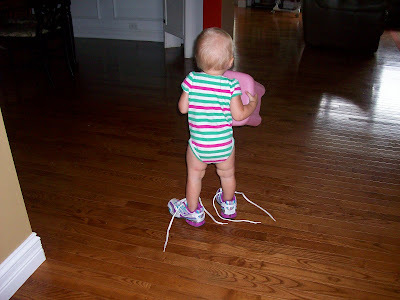 She wore these for at least an hour. 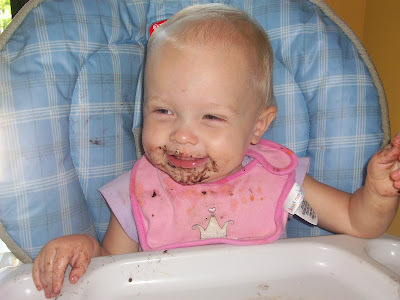 Guess who also had her first OREO? I love this post...probably because I've envisioned the same things as you--staying at home with my girls (well, I wished I would have girls--my wish came true! 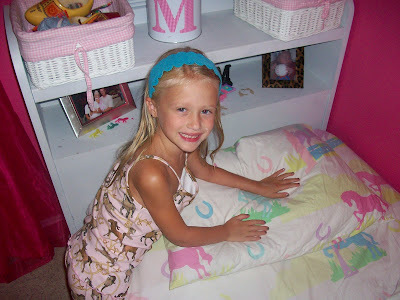 ), taking care of my home and my family, decorating their rooms...I just LOVE being a Momma! And wow on the tooth and toothfairy loot! That's awesome! And my heart stopped when I read she fell off the horse--poor thing! I, too, hope she'll still love horses. 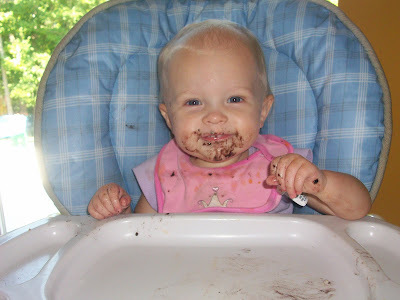 And I LOVE the Oreo pics...simply adorable! wonderful pictures. beautiful horse. 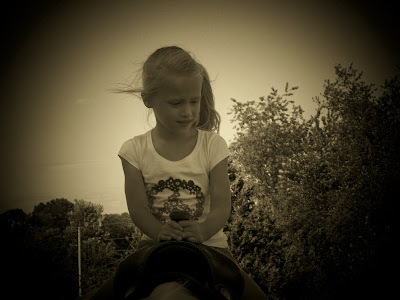 my oldest was deeply passionate about horses when she was younger. L.O.V.E.D them. and still does. i am happy she didn't hurt herself, ouch. Yay for losing a tooth! So fun. and, lucky girl, she got $2! 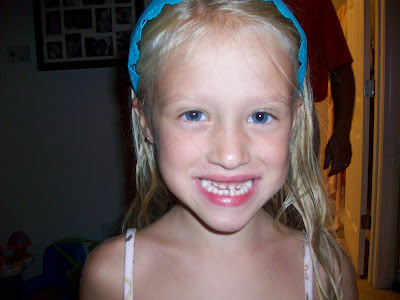 What a nice tooth fairy :) And, sorry about her falling off the horse, poor thing! Hopefully she isnt too scared to go again!